Established in October 1923, the Ink & Paint Department set up shop at the first Disney studios on Kingswell Avenue in Los Angeles before moving to the Disney Hyperion Studio, and finally to the Burbank Studios in 1940. At the height of production, the staff was comprised primarily of women, numbering more than 250 artists and technicians. Today, this vital division continues with a small number of talented artists who keep the hand-­made magic alive, even with the advent of 3-D animation. 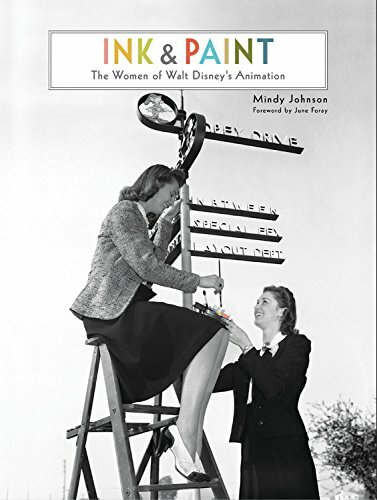 In this glossy volume, featuring never-before-seen photos, artwork, and detailed accounts, the process, techniques, and contributions of the women-and men-who defined the Walt Disney Studio's legendary Ink & Paint Department over the years are carefully explored, preserved, and shared for future generations.